It’s time to move past questioning the existence of climate change and begin debating the best way to combat the drastic and well-documented change in the world’s climatic patterns. That is why I am a cosponsor of the Green New Deal Resolution. The resolution, introduced in Congress earlier this month, acknowledges two major crises related to rising greenhouse gas emissions: a climate crisis and an economic crisis of income inequality, socioeconomic immobility, and wage stagnation. At the same time, climate change threatens U.S. national security and undermines environmental, social, and economic stability around the world. The resolution proposes bold, common-sense goals, including investing in infrastructure, upgrading power grids, expanding clean manufacturing, overhauling transportation systems, and restoring ecosystems. Implemented in partnership with local communities, businesses, workers, and experts, the Green New Deal would transition the U.S. to a sustainable economy that expands financial security for all Americans, especially the most vulnerable among us, and promotes the health and safety of all communities. Already we are seeing the consequences of inadequate action: more frequent billion-dollar disaster events, deteriorating infrastructure, increasing food and water insecurity, and displaced wildlife. According to NASA, 2018 was the fourth-warmest year ever recorded, meaning that 18 of the 19 warmest years on record have occurred since 2001. We have not only the opportunity but also the responsibility to match the scope and scale of the climate change crisis and to avoid irreparable harm to the environment, economy, and public health. The federal government must use every available tool to combat climate change to protect the environment and public health for Americans and future generations. 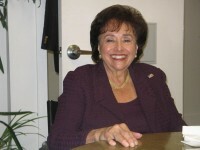 Rep. Nita Lowey, a Democrat, represents New York’s 17th congressional district and is the chairwoman of the House Appropriations Committee.